Epson Workforce WF-5690DWF is a robust multifunction printer designed to offer reliability, efficiency and affordability. It can be called as a comprehensive business inkjet device with advanced printing, scanning, copying and faxing solution. The all-in-one comes with 14.3 kg of weight, 461 mm of width, 442 mm of depth and 342 mm of height. It is equipped with a huge 10.9 cm LCD touchscreen to control functions in a hassle-free manner. 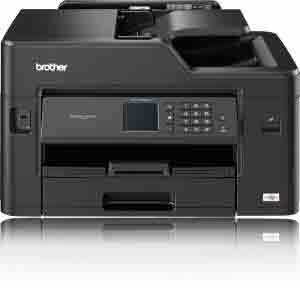 Printing, scanning and copying qualities are good and equivalent to the performance of a laser printer. It offers a competitive printing speed of up to 20 ppm for both draft and colour mode. A 250-sheet tray is provided at the bottom of the machine along with an extra 80-sheet tray that lets you print on a variety of media. A 35-sheet ADF enables double-sided copy and fax. While performing operations the device consumes 80% less energy than laser printers and saves 50% more on the running costs. The XL size Epson Workforce WF-5690DWF ink cartridges contribute to the reduction the printing costs. Moreover, wireless connectivity coupled with a host of Epson free apps allows you to print on any mobile device or connect to Cloud. The all-in-one is compatible with the operating systems of Windows and Mac PCs. Epson Workforce WF-5690DWF is a multifunction device that offers robust print, copy, scan and fax functions. It uses less energy and reduces print costs. Even the quality and speed of printing is up to par. Hence, considering all the features, it is an effective option for small business users. Q. I am planning to buy an Epson Workforce WF-5690DWF printer for my office purpose. Do you supply printers on this site? A. Sorry, we do not supply printers, but deal in supplying compatible ink cartridges and other printing accessories. If you want to buy an Epson printer, can visit its official site. Q. Will usage of compatible Epson Workforce WF-5690DWF ink cartridges can cause any problem with the Workforce printer? A. No, the compatible cartridges are designed to perfectly fit in your printer and produce high-end results. Usage of compatible ones will not cause any problem with the printer. Most of the printing related issues can be solved by following the simple procedures at home such as running a printhead cleaning cycle, wiping the chip to ensure if it is clean and check if the ink cartridges are mounted correctly. Q. Can I pay in cash for my order of Epson Workforce WF-5690DWF ink cartridges at the time of delivery? A. We do not offer cash on delivery services. All our payments are made online only. You can pay by using Laser Card, American Express, MasterCard or Visa credit card, Maestro, Switch, Solo or Delta debit card. When you purchase any item on this site the payment will be hosted by Sage Payments to make sure that you get maximum security of your credit/debit card details. Q. Will I get inks along with the printer? A. Yes, the company does supply original brand Epson Workforce WF-5690DWF Ink Cartridges along with the printer when purchased for the first time. Q. Do compatible cartridges leak or dry up early if not used frequently? A. 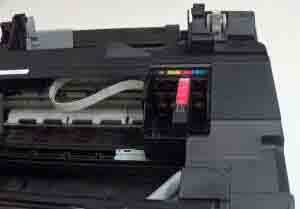 If you do not use your printer too often, any cartridge would dry up early when not in use. It is advisable to at least use the printer once every month to ensure the flawless working of the printer. Q. Can you deliver the printer cartridges in Galway?